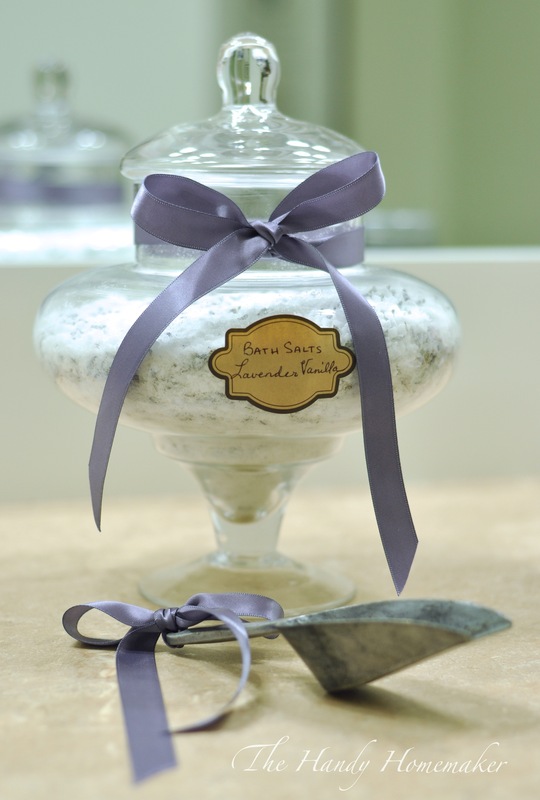 Bath salts have many benefits to the body beyond helping have a pleasantly scented bath. A soak in Epsom salts can help with circulation and heart health, lowering blood pressure, and aid in flushing toxins from the body. Try a soak in a bath salt tub to relieve stress, muscle aches and cramps, or to reduce inflammation. Bath salts are not just good for their relaxation nature they serve a purpose by adding minerals that may be depleted in the body. 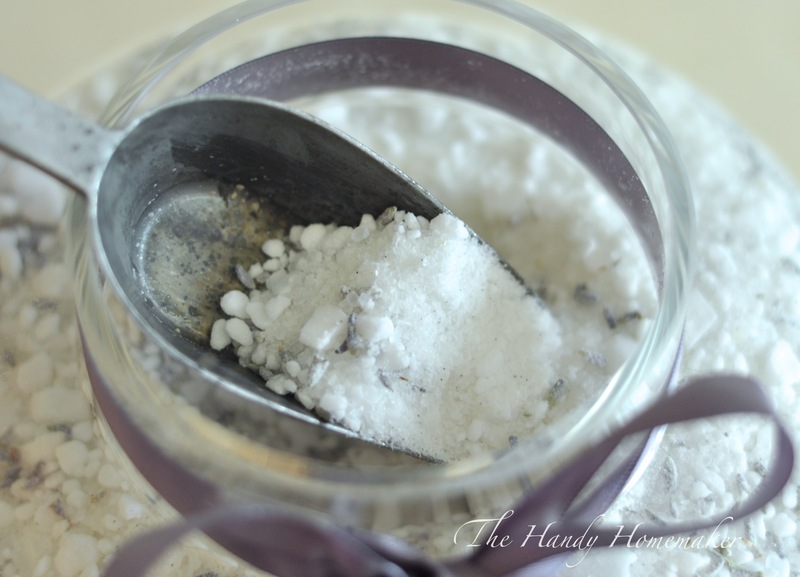 A soak in a tub soak of epsom salts is a safe way to help your body absorb magnesium and sulfate, minerals that are needed in the body for balance. If you have migraine headaches try adding an epsom salt soak to help relieve and prevent. Soaking in epsom salts can relieve sunburn irritation, bug bite itching, bee sting relief, poison ivy relief and much more. 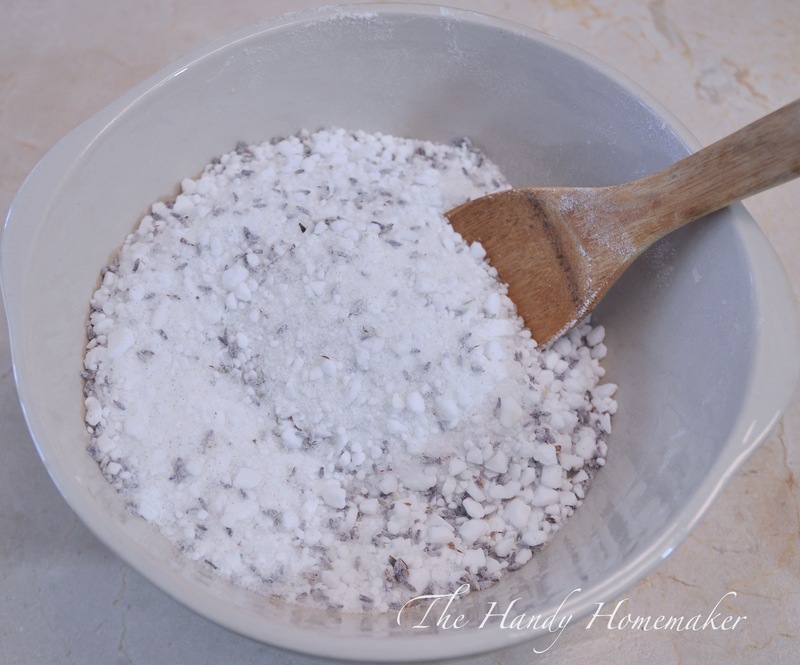 Although you can soak in just epsom salts, try making this bath salt recipe to enjoy a lavender scented soak. Place in a beautiful jar and place in the bathroom with a scoop to easily add to your bath. Add a half cup to a hot bath, lay back relax, close your eyes, or read a book. You deserve it. To give as a gift, purchase small jars and add a label. 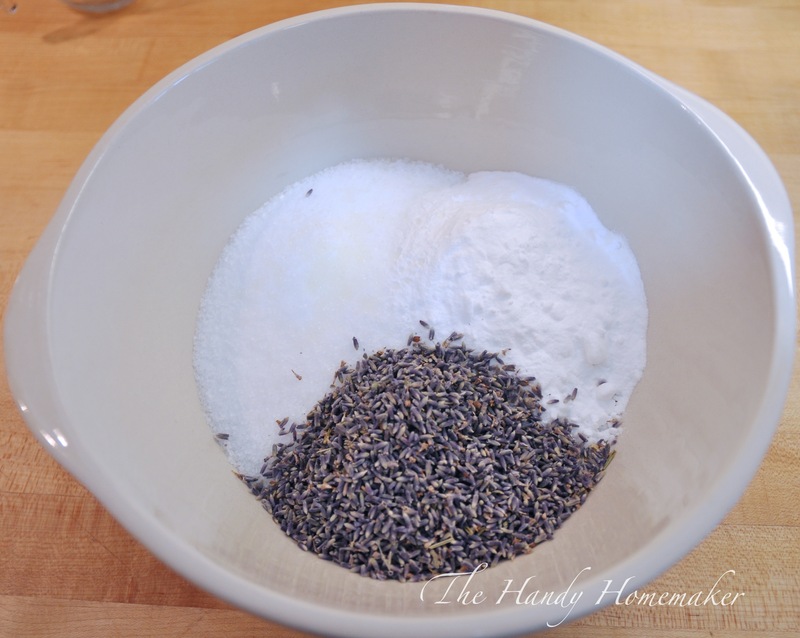 Make a lavender vanilla body sugar scrub to give in combination with these sea salts. Thanks for the recipe. It looks beautiful and I’m sure it smells divine. Will be making this as Christmas presents!